The mercados in Cuenca and throughout Ecuador are like vegan candy stores. They’re loaded with all the colorful fruits and veggies that we love to eat, and they’re extremely affordable. 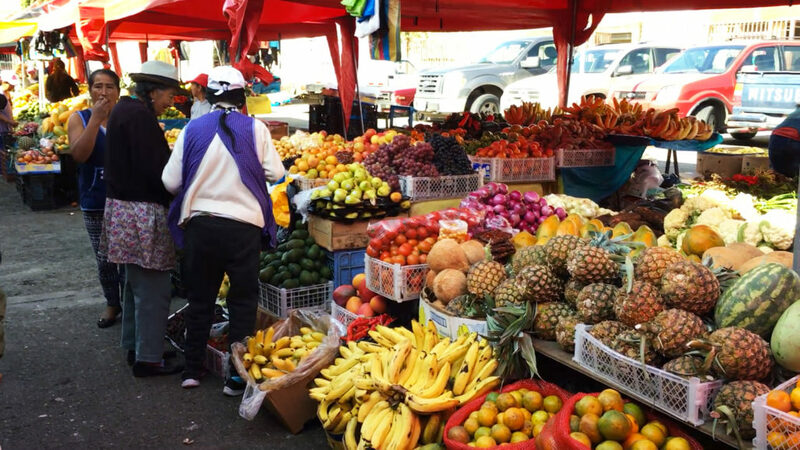 We spend about $20/week on produce at the mercados, which used to cost us around $100/week back in the states for lower quality, less flavorful fruits and veggies. 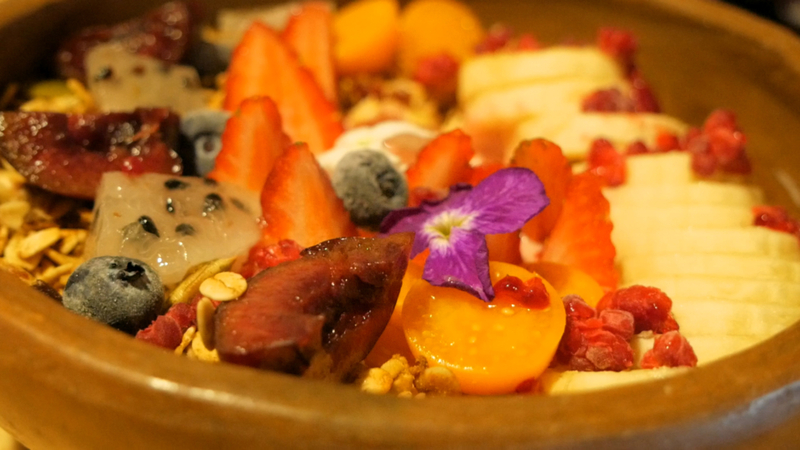 When we first arrived in Cuenca, Fratello Vegan was the only fully vegan restaurant. Now we also have Café Libre and Zatua Miski, plus several vegetarian restaurants. Plus, nearly every non-vegan restaurant has a vegan and/or vegetarian section on the menu. It’s SUPER easy to eat out as vegans in Cuenca. All of our doctors (GP, neurosurgeon, physical therapist, OBGYN) know that a plant-based diet is healthy. My GP asked if I’m taking B12, which should be recommended for everyone, not just vegans. And he tested my calcium levels, which are in the normal range. 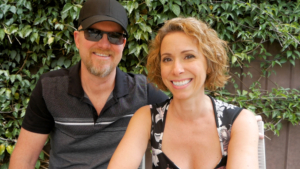 Our doctors didn’t say anything negative or derogatory about the vegan plant-based diet and they weren’t at all concerned about our health from eating it. The traditional Ecuadorian diet is a starch-based diet. They eat lots of fruits, veggies, legumes, whole grains, rice and potatoes, while meat, dairy and eggs are used as a garnish. Animal products have not traditionally been the central component of meals, although that has been changing over the past 10 years as the country becomes wealthier. And guess what… Along with the increase in consumption of animal products and processed foods, we’re also seeing an increase in obesity, diabetes, heart disease and all the other preventable western diseases of affluence. It’s a very sad development here. You may have seen our earlier video on Vegan Skin Care here in Cuenca, featuring our fellow vegan friend, Dr. Rosy. In addition to Rosy’s skin care treatments, there are also several stores that sell vegan and cruelty free beauty products. One that’s very close to our house is called Annoa. The husband designs and makes the products, and his wife runs the store. 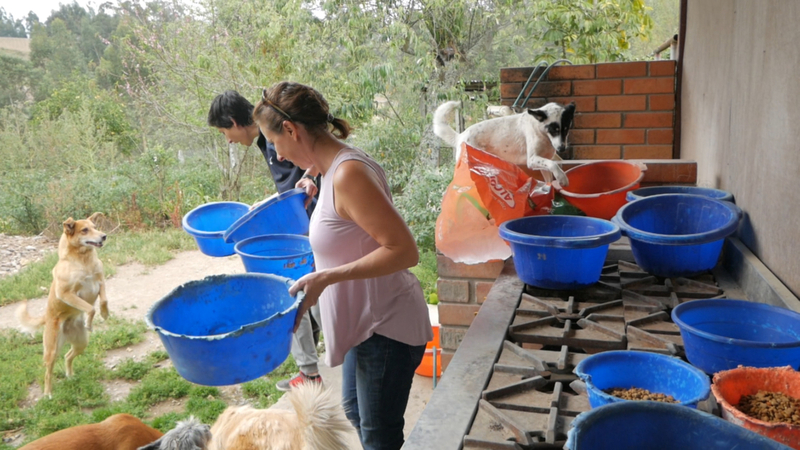 We featured Los Amigos de Manolo in another video, but there are at least two other dog rescues in Cuenca Ecuador and they all welcome volunteers and donations. If you’re really ambitious, we could use a farm animal rescue here! When we first moved here, Rosy was the only vegan we knew. 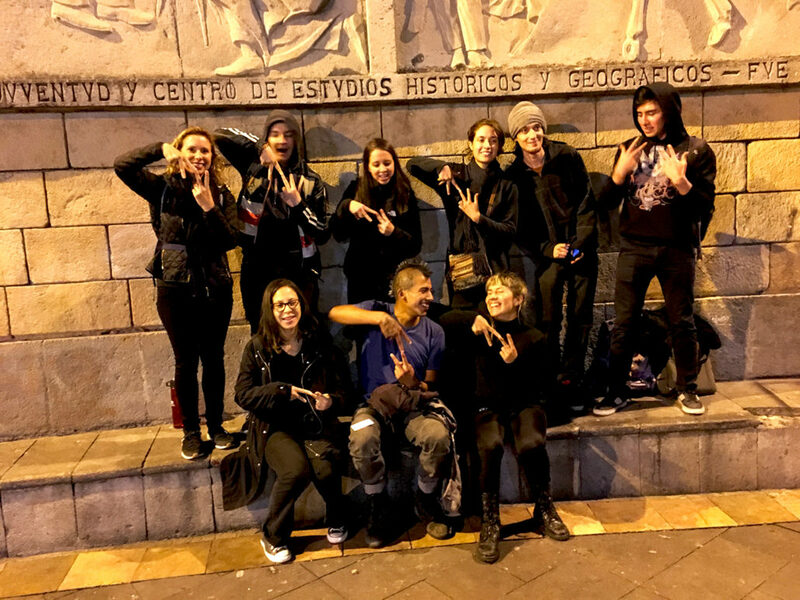 Since then, we’ve met more long-term vegans from Ecuador, as well as new vegans and vegans from other parts of the world. We’re excited to see the vegan community growing here, and we’re hoping to grow it even more. 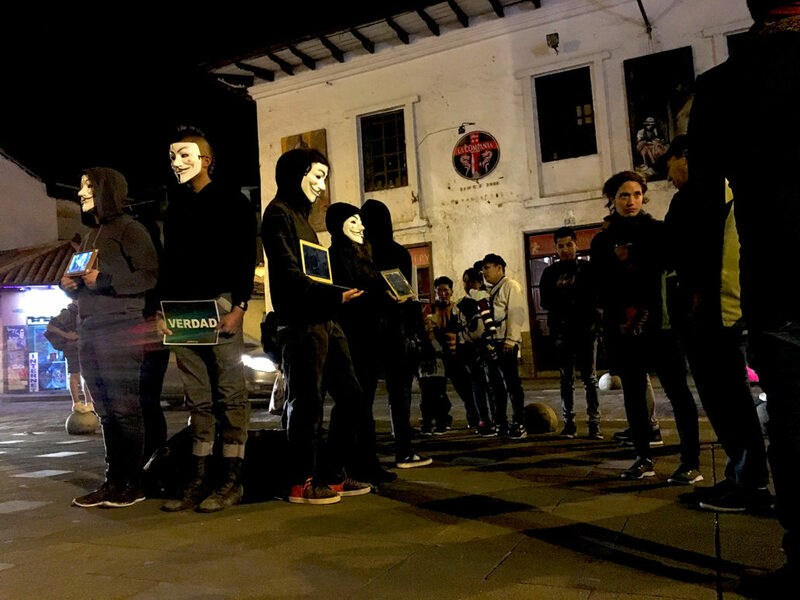 We conduct Anonymous for the Voiceless Cube of Truth peaceful street activism events on a semi-regular basis so if you’re interested in activism, Cuenca has those opportunities for you, as well. There are also slaughterhouse vigils and movie showings. Rosy showed Okja at Fratello and she’s planning a showing of Dominion en La Universidad de Cuenca. If you have any questions about vegan products or services here in Cuenca, or anything relating to living as vegans in Cuenca, please let us know in the comments and we’ll do our best to answer them. 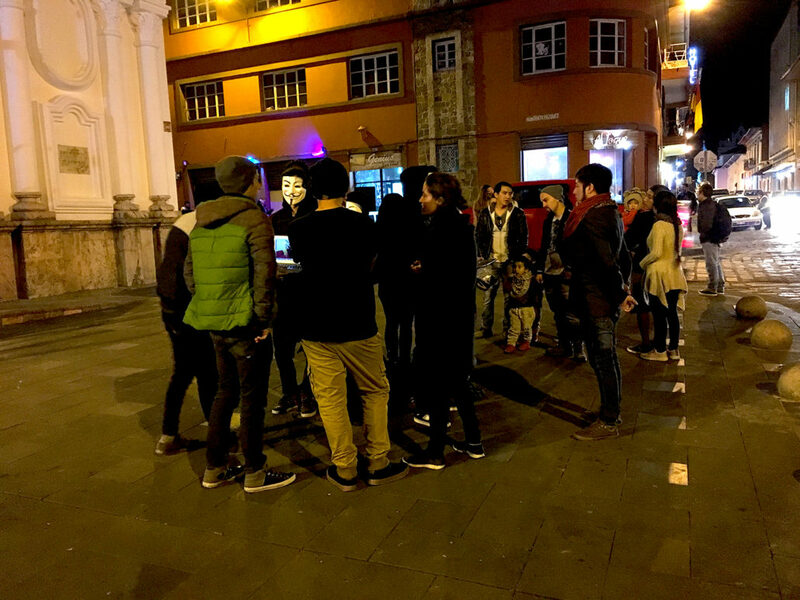 International Cube Day happened to fall on Independence Day here in Cuenca, Ecuador this year and we opted to do an Anonymous for the Voiceless Cube of Truth instead of partaking in the Independence Day festivities. We had intended to record another Cuenca Days VLOG after the cube, but one of our good vegan friends is going through a tough time so we decided to spend the afternoon with her instead. We had a nice long walk through the city to Fratello Vegan for a late lunch and lots of good vegan conversation. It’s so nice to sit at a table with all vegans who understand the challenges we face everyday. We are able to talk openly and honestly about our hopes, fears and frustrations without judgement, justifications, condescension or arguments. And we laughed a LOT too! 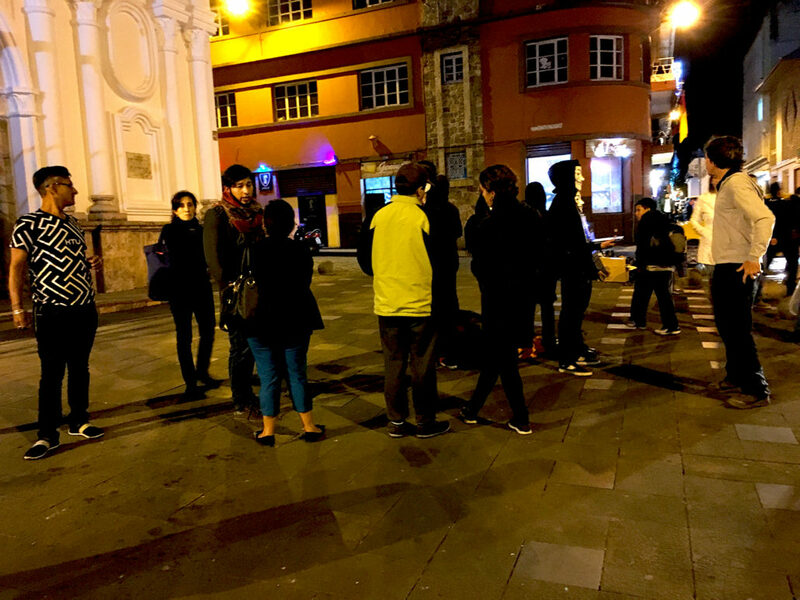 If you’d like to join us at a future Cube of Truth, please join our Facebook Group: AV Cuenca Ecuador. We need more people in our cubes to have a bigger impact! We also have a new vegan social group that meets once per month for drinks and conversation. It’s called Salidas Veganas Cuenca. Please join us at our next social event! This video was filmed on March 16, 2018 and I’ve lost almost 20 pounds since then eating WFPB No-Oil. So if I look heavier in this video than some of the more recently recorded videos, that’s because I was. This is the first time Amelia and I have ever participated in any sort of protest…EVER! It doesn’t really fit our personalities. We prefer to lead by example and live a quiet life, free of conflict. 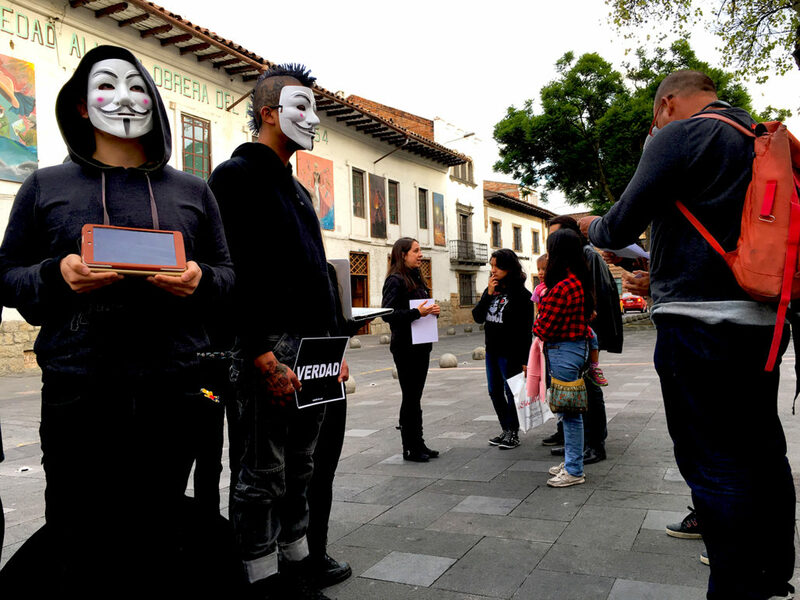 However, our buena amiga (good friend) Rosy from Fratello Vegan started a Facebook group called AV Cuenca, Ecuador, which is a chapter of the Anonymous for the Voiceless group founded in Australia. She also created the group Veganismo 101 to help people switch to veganism. And I’m glad she did. While it was a very emotional experience bringing me to the point of tears several times, it gave me some optimism to see so many people interested in veganism. Anonymous for the Voiceless and the Cube of Truth are relatively new so let me tell you about them, but first, please LIKE, COMMENT and SHARE this video, and SUBSCRIBE to our YouTube channel so we can reach more people and spread the word about veganism. What Is Anonymous for the Voiceless? 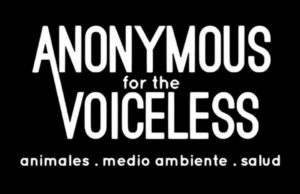 Anonymous for the Voiceless was started in Melbourne, Australia a little over 2 years ago in April of 2016. 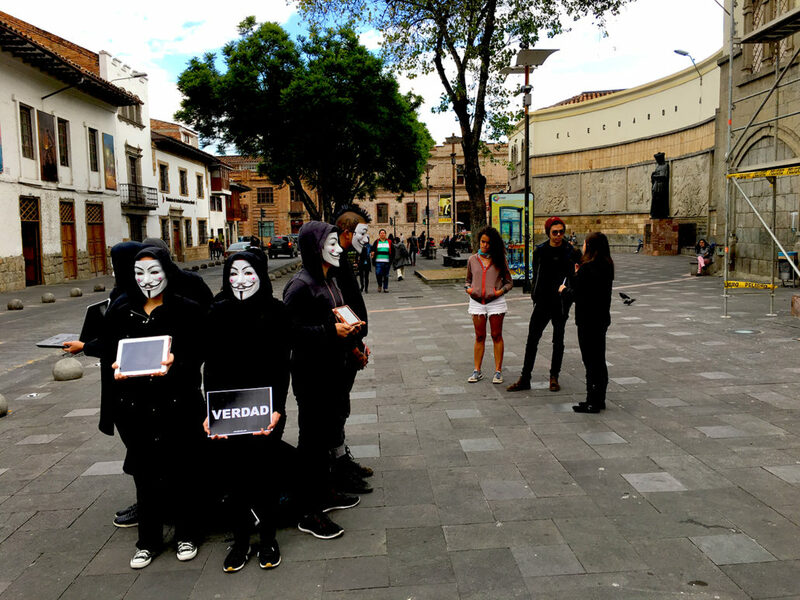 “Anonymous for the Voiceless is an animal rights organization that specializes in street activism. Over 3,059 demonstrations in 496 cities/56 countries, we’ve convinced at least 107,288 bystanders to take the needless violence in their diets and lifestyles seriously. What Is a Cube of Truth? A Cube of Truth is a peaceful form of street activism. 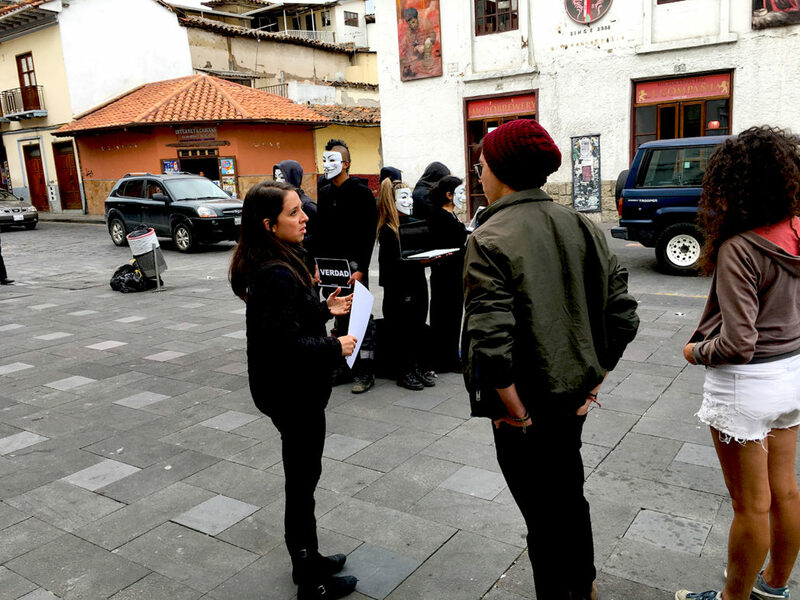 Group members wear all black along with a Guy Fawkes mask made popular by the movie V for Vendetta. This mask is also used by other Anonymous groups for a variety of different social and political causes. 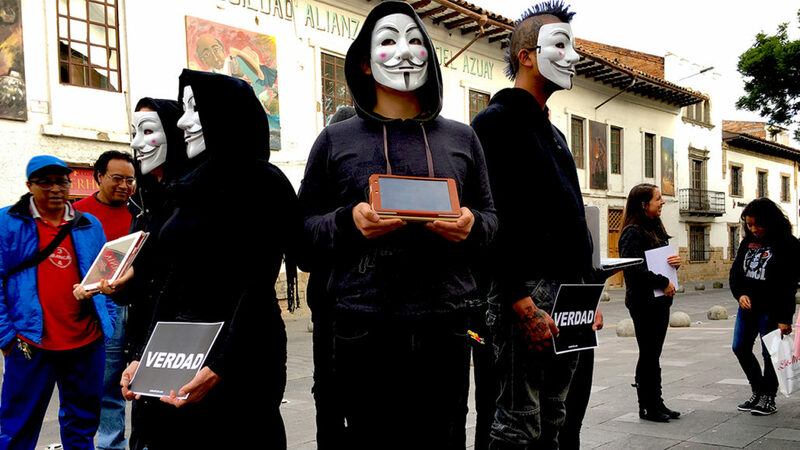 Each member also holds either a sign that reads “Truth” (“Verdad” in Spanish), or a laptop or tablet playing typical slaughterhouse footage. The videos are not the extreme, they are standard practice. And much of the footage comes from so-called humane and/or organic operations. It’s not the worst of the worst. It’s the best of the worst. The masks and black clothing are very effective at grabbing people’s attention from a distance. When they get close enough to see the screens, they can’t help but watch. It’s like a car accident…people can’t stop themselves from looking. For a lot of people, this is the first time they’ve seen footage like this. The animal ag industry has done a remarkable job at keeping their dirty little secret behind opaque walls. But thanks to the courage of some undercover activists, we now have video showing what life is like inside these torture chambers. Not only is it incomprehensibly cruel to the animals, it’s utterly gross and disgusting. To think that I used to put that into my mouth on a daily basis makes me want to throw up! It makes me physically sick to my stomach! The Cube of Truth videos expose people to the reality of where their food originates, while the outreach members provide context and answer questions from onlookers. They also hand out business cards with useful links to help them go vegan. The philosophy of Anonymous for the Voiceless is to plant seeds, not to convert people to veganism on the spot. They recognize that in-your-face protests for such an ingrained tradition only drives people further away. Instead, the goal is to provide a calm, logical and informative approach that employs the Socratic Method to lead people to the truth about the choices they take for granted, and the unseen consequences of those choices. 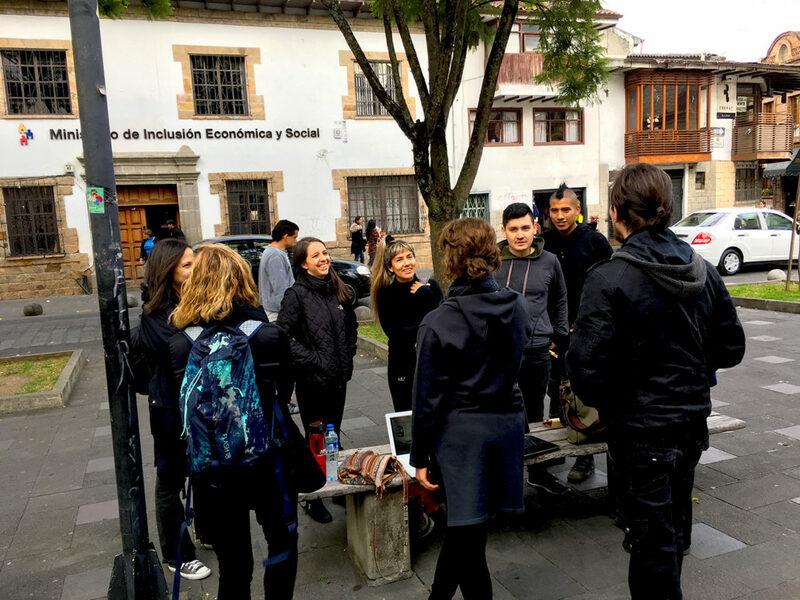 We handed out over 30 business cards at this event to people who were curious about taking the first step toward a more compassionate, environmentally friendly and healthful lifestyle. We didn’t know what to expect on our way to this event. I assumed it would be fun and informative, and hoped we would spark some curiosity in at least a few people. It was all of those things. What I didn’t expect was that I would get so emotional about it. I was doing ok until I saw a little girl, roughly 8 years old, watching a video with her mother and siblings. The little girl was sobbing with her hands over her face, crying “no, no, no” over and over. She couldn’t handle the utter cruelty of the images she was seeing. Cruelty to animals that she is learning about in school, painted as happy creatures frolicing in open pastures and willingly giving their lives to become our food. She hasn’t been corrupted by decades of taste and tradition. She wasn’t yet equipped with the blinders society installs on our psyches to shield us from the realization that our “food” suffers immensely on the way to our dinner plates. It’s the policy of Anonymous for the Voiceless to not allow children under 14 to watch the videos without a parent or guardian present. If we see an unattended child, we ask where his or her parents are. On one hand, I was surprised to see how many parents allowed their children to watch these videos. But on the other hand, shouldn’t they know where their food comes from? If children are allowed to eat it, and people think it’s ethical to eat it, then why not show them the reality of how it gets onto their plates? If the footage isn’t appropriate for children, then how can eating the product of that footage be appropriate for children? You can’t have it both ways. Either it’s ethical, or it’s not. Either it’s moral, or it’s not. Either it’s humane, or it’s not. In addition to the little girl, I witnessed at least a dozen adults on the verge of tears or covering their faces or turning away as they watched the videos. If we can’t bear to see where our food comes from, how can we even slightly believe it’s ethical, moral or humane? Overall, this was an extremely positive experience, despite my emotional breakdown near the end. It’s also a very effective form of activism that may not create instant vegans, but it certainly plants the seeds of veganism. Amelia and I have already decided that we’re going to do more cubes. Going vegan was the least we could do. Now we’re doing a little bit more. 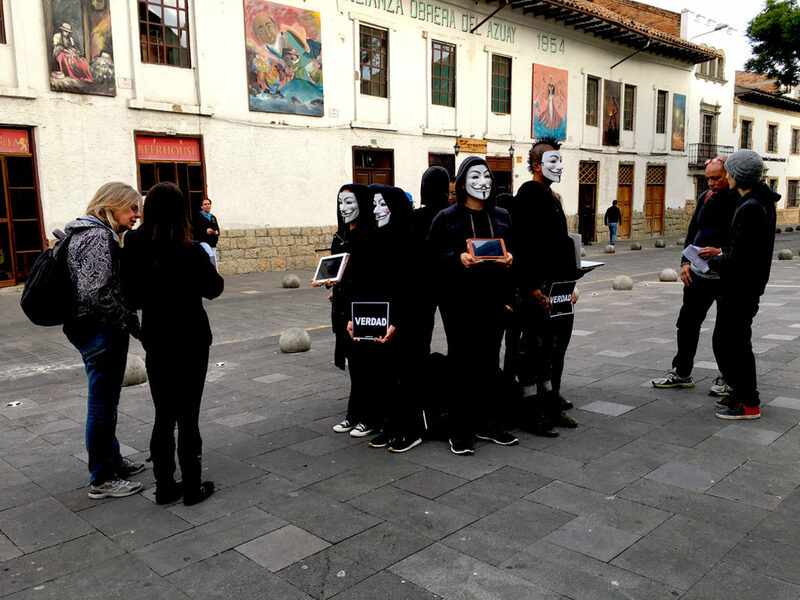 We hope you enjoyed our Cube of Truth video in Cuenca, Ecuador today. Please remember to like, comment and share our video to help spread the word about veganism. Also, please subscribe to our YouTube channel so we can reach more people. If you’d like us to make a video about something specific or if you have questions, please let us know in the comments.